Queen’s University’s Institute for Global Food Security will play a key role in EIT Food, a new leading partnership which will tackle the global challenge of feeding the world’s growing population, as well as enabling the partners to access up to €400 million in funding. The Institute has secured the partnership through the European Institute of Innovation and Technology (EIT). This has led to the formation of a new Knowledge and Innovation Community, EIT Food, a large scale public-private innovation partnership of 50 leading companies, universities, and scientific partners, covering the entire food value chain. The Institute will be a key participant in the FoodConnects consortium and will deal with major food issues affecting the world, including cutting back on food waste and coming up with healthier options for society. VSCHT is an associate partner.. The project will be coordinated by QUB and includes partners from many other universities including VSCHT, industry, small to medium enterprises and non-profit research organisations in Europe and China. The project aims to develop and implement a shared vision of best practice within the EU and China that will enhance food safety, deter food fraud, restore consumer trust, deliver mutual recognition of data and standards and support the flow of agri-food trade between the two trading blocks to promote economic growth. 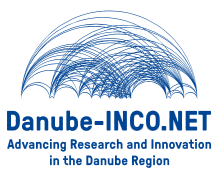 Project “Faces of changing climate in Danube region: occurrence of mycotoxins in maize and suggesting the mitigation strategies” (MycoClime) funded by Danube-INCO.NET has commenced in January 2017. VSCHT and BOKU, institutes originating from countries along the Danube river that only can apply for funding, will work closely on research activities aimed at targeted LC-MS/MS and metabolomics to be used to assess mycotoxins contamination in the Danube region. FoodSmartphone project (Smartphone analyzers for on-site testing of food quality and safety) funded by HORIZON 2020 has commenced in January 2017. The project is coordinated by RIKILT Wageningen UR, the Netherlands, with substantial contribution of QUB (leader of WPs on Data handling and Software tools and Network-wide Training) and VSCHT (leader of WPs on Demonstration of FoodSmartphone Applicability and Benchmarking and Communication, Social Media and Dissemination). FoodSmartphone proposes the development of smartphone-based (bio)analytical sensing and diagnostics tools for simplified on-site rapid pre-screening of food quality and safety parameters and wireless data transfer to servers of relevant stakeholders. VSCHT and BOKU are partners in the project Volumetric preservation technologies for food quality improvement by retention of sensitive and mitigation of neoformed compounds (volTECH), supported by CORNET (Collective Research Networking) and funded in the Czech Republic within the national program Development of research and development for innovation, Cooperation – Clusters (CZ.01.1.02/0.0/0.0/16_079/0008876). The aim of the project is to contribute to a deeper understanding of innovative mild food processing technologies, high pressure pasteurization and sterilization and ohmic heating, and their use in the food industry.